Wolford had no fear of poisonous snakes, and he’d handled them many times before. He’d even survived earlier poisonous snake bites. During the May 27th service Wolford handled a timber rattlesnake. Then he put the snake on the ground and sat down next to it. The snake bit him on the leg. Believing God would heal him, he sought no medical help. He died that night, after having celebrated his 44th birthday the day before. Was the pastor simply being foolish, or was he truly a man of faith? I admire his courage and dedication. But I can’t say I would ever try anything like that. How about you? How strong is your faith? An interesting topic and discussion. As we discussed the other night, I think it boils down to having reverence for all life and not “using” other creatures in any way, especially not poking and prodding them to prove a point. I think the snake struck the good reverend because it was afraid. Why else do snakes strike? Somewhere within the reverend he was afraid and the snake sensed that fear and struck. If there is no fear in the person, there will be no fear in the snake and it will not strike. This isn’t a test of faith so much as a test of the reverends ability to stay calm and fear free. I agree with Grant and I would add … we don’t jump off of buildings and think God will instantly create wings for us to fly either. I would say when we are doing things to test our Faith or God then that maybe a point of ego based demonstration. Very very interesting topic, I’ve enjoyed reading and pondering everyone’s thoughts and comments. Briefly, I believe that both our coming to and going from this planet are Soul choices (choices we make at the soul level), so from that perspective, if the reverend’s time was at an end, his snake partners became merely the implement. I don’t mean pre-destiny, just that these occurrences are not accidents. He could have gone on forever with no fatal consequences, had that been part of his life plan. Obviously (to me) something else was going on. It’s interesting to note how his action has set off comment and discussions all over. I wonder what his congregation has taken away from this experience? There are a lot of conclusions that might be drawn! Great topic, John, thank you! @ Sarah – your reply back to John was posted at 11:11 (at least in my time zone!). That made me smile! I have read that Indian mystics are able to be with creatures that have the potential to harm or fatally wound them because they are in a state of total oneness with and love for all things created. Therefore, sensing no threat or fear from that person, the creature feels no need to harm. It is the state of absolute love and respect for all things created that is the issue. Protection is not needed! Belief is not the issue. It is actually being the ultimate spiritual law of oneness and divine love. All is One. God Is All there Is. We are God. Another thanks for making me think John! Another way of viewing this is perhaps when you put your faith 100% in God then you also believe he chooses when you die. Pastor Wolford sounds like he would have fitted into this belief (I’ve personally never heard of him before now). For myself, although I believe I have “strong faith” I agree with the “good sense” comment above! I feel that when we deal with the world in a dualistic way, at some point the pendulum of the clock is going to swing the other way. A man of faith, in my opinion, works from a higher frequency of love and I don’t think would want to tamper with a snake to prove a point to anyone. There is nothing to prove! You wrote about a very interesting subject. I think I have strong faith. I also believe God gave me good sense. When you are pressing your luck with something that you know can cost you your life, eventually it will get you. That is just the way this world works. To me every time he picked up a snake he was testing God. His faith may have saved him a multitude of times but he pushed it too far. Quite an interesting question and discussion. In giving this topic thought I found that I don’t actually use the term faith so much as it seems some what tentative to me. I have very strong convictions about many of the things we speak of in our “spiritual life” (which, of course, in my knowing is all of life). There is a place within my consciousness where I KNOW things. Not always things that I have been taught or read or discovered so much as they are, or appear to be things of absolute KNOWING. I call that place “My Knower.” So when I know it in my knower, I really know it and am totally at ease with it. Some things in my knower I came in with and have known very clearly since I was a small child. . .ie. . .I am divinely protected. . .God/Creator/Source is love. . .
Other things that are in my knower are things I have re-membered or re-awakened to as I have spent my life in study and seeking a higher more joyful path through this life. All That Is is All That Is, I am that I am Becoming. There is no time or place but NOW. All things and all times really occur concurrently rather than linearly. We are all one. Every moment is filled with Absolute Potential. I (we all) create my own reality. Love is the most powerful energy in the Universe. Those are all things I know in my knower. Beliefs may be and often are changed as we grow and encompass higher understandings and greater perspective. We live in a limitless universe, filled with limitless potential for all things. Many of us have and do hold beliefs that are not really highest truth but as long as we hold them as a part of our perspective of life they can be very limiting. Releasing beliefs (or things) that no longer serve our highest and best purpose is a very important step along our pathway towards Home. This particular time of ending cycles and beginning new cycles of energy in our planetary growth is a very good time to exam what beliefs we hold and evaluate how they now serve us in our desire to fully awaken to All That Is. I understand the discussion of the Snake Handler and what others have observed and I fully agree that it is best to let common sense rule. Another very good discussion by all here. Millions have put their earthly lives at risk in one way or another and for one reason or another, unnecessarily I mean. Some thought and believed they were being courageous, patriotic, addicted to adrenaline rushes, and others believed (had faith?) that if they did die from their risky behaviors, they were just doing the will of God, that it was completely out of their hands. Ask any Kamikaze pilot or bomb-strapped terrorist. Oh yeah, we can’t , well unless we have psychic abilities which makes it possible. In any event I guess it is their business if they choose to hurt their loved ones since we all have free will. They just do not impress me and I am sure they do not care one whit whether I am impressed or not. I am grateful that my programming enabled me to be who I am in spite of the errors I have made through my life. The devil took Jesus to the pinnacle of the temple and asked him to jump off because the angels would protect him. The devil showed Jesus all the kingdoms of the world and said he would give them all to Jesus if only he would fall down and worship him. Finally, the devil led a son of God to a den of vipers and told him to snuggle up to them because they would not hurt him. The devil, or satan if you prefer, is another word for the ego. We are not talking about a matter of faith, but rather a matter of the human ego. I don’t know about his “faith”, but I don’t see how he could believe that he was impervious to snake bites. His father died young in the same manner many years ago. I think perhaps he was not the brightest bulb in the marquee, and it is hereditary. 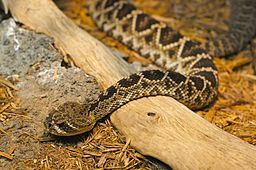 I wonder how the rest of the “snake handlers” rationalize it when one of their own dies from snakebite. Do they decide he was unworthy? Or that God called him home? Whatever they think, they go right on handling snakes. This is a perfect example of giving your power away. He trusted God to cure him of the snakebite, instead of trusting himself to stay out of that situation or to go to a doctor. Trusting God to care for you is ok if you realize that you are a part of God and that you are trusting yourself to take care of you. Unfortunately, Fundamentalist Christians have invented a vain, angry, jealous, nit picking, dysfunctional God, set him in the sky, and put their faith in him. No wonder “He” doesn’t come through for them. I live quite near to where he had his church and the place is overrun with Fundies. This IS West Virginia, after all. I just stay out of their way and never, EVER discuss religion with them. I like your perspective that ‘Trusting God to care for you is ok if you realize that you are a part of God and that you are trusting yourself to take care of you’. Having been raised in a fundamentalist environment for many of my formative years, I understand the disempowerment involved in externalising God, in projecting the divinity onto a Solitary, judgemental archetype. In a way I have empathy for the people who choose to identify with this concept and embrace it as their spiritual path. I think such an identification with an externalised Godhead is born of a deep fear in many dimensions, and at its deepest level it is maybe born out of an intrinsic fear of oneself, which is sadly the myth perpetuated by those who have had power in many aspects of society over the many millenia. We can only lead the way out of such a dark and disempowering state by letting our love and light provide a shining example. Even if it illuminates a tiny chink of the darkness, its all good. Thank you very much, Sarah, for your thoughtful comments.